The earliest solid record of a spirit distilled from grain on British soil dates from the end of the 15th century. The year 1494 is referred to in a lot of whisky books and other sources as the year that Scottish whisky was born. I am talking, of course, about the entry in the Exchequer Rolls of a payment of 8 bolls of malt to Brother John Cor, in order to make aqua vitae for king James IV. Let me first introduce the dram I’ll pour myself for this E-pistle. It’s a rather special one (thanks for the sample, Serge! ): a 12yo Clynelish. What’s so special about a 12yo Clynelish, I hear you ask? Well, first of all, it’s a cask strength bottling (56.9% abv), but more importantly, this Clynelish was bottled in the 1960s, before the current Clynelish distillery was built. So it wasn’t distilled at the current Clynelish distillery, but at the original Clynelish distillery, which we now know as Brora. Confused? You work it out for yourself, while I fill my glass! Back to John Cor and his 15th century aqua vitae. Before being heralded as ‘the first Scotch’, the question must first be answered as to what purpose the aqua vitae was distilled for. To be drunk? As medicine? Or for alchemical experiments? James IV was very interested in alchemy and worked together with John Damian on this. Damian, incidentally, made himself pretty ridiculous by trying to fly with artificial wings from the walls of Stirling Castle to France in 1507, straight into a dung heap (he blamed his failure on mistakenly having used chicken feathers). There are 18 entries between 1494 and 1512 in the Exchequer Rolls and in the Accounts of the Lord High Treasurer relating to the use of aqua vitae either in alchemical experiments or for making gunpowder. These entries stop after James’ death in 1513. Distilled alcohol (ideally 1000 times distilled!) was very important for alchemists and a crucial step in the making of the ‘fifth essence’, which allegedly could convert metals into pure gold, heal all diseases and prolong human life. More than once, ‘fifth essence’ and ‘aqua vitae’ are mentioned in the same entry. Judging from the entries in the Exchequer Rolls and the Treasurer Accounts, it is very likely that John Cor’s malt spirit was distilled for alchemical purposes and not drunk at all. So although there is no doubt that a spirit distilled from grain existed in Scotland in 1494, its likely use for alchemical experiments means that it’s a bit of a stretch to call it the earliest record of whisky in Scotland. By the way, John Cor is often said to have been a monk at Lindores Abbey in Fife, but nowhere in the original entry is there any mention of Lindores. So where John Cor was based, whether he really was a monk and what his precise role in the distilling of this batch of aqua vitae was, are still more unanswered questions. Malty nose on this Brora-Clynelish, with some meaty-savoury notes. Also get the slightest whiff of vanilla. Let’s go back in time a few centuries and speculate a bit as to where and when an alcoholic spirit may first have been distilled on Scottish soil. Members of Clan MacBeatha (among various alternative ways of spelling the clan name are MacBethadh, MacBeth and, in its anglicized form, Beaton) were hereditary physicians in Scotland’s clan-based society. They practiced medicine in the classical Gaelic tradition from at least the early 14th century onwards. 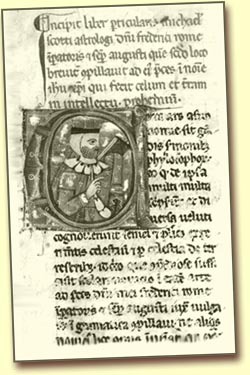 Medicine in medieval Gaelic society was based on a mixture of native herbal lore and foreign, mostly Arab and Greek, medical tracts. Over the centuries, members of Clan MacBeatha amassed a vast medical library, which contained Gaelic translations of many Arab and Greek writers, including Avicenna, Averroes and Hippocrates. Several of the Arab writers knew of distillation techniques. According to tradition, Angus Óg, Lord of the Isles, married Agnes, a daughter of Cú-maige nan Gall Ó Catháin, one of the barons of Ulster, sometime in the late 13th century. Agnes is said to have brought ‘seven score’ names from Ireland to Islay. One possibility is that she brought a group of 140 Irish fighting men, one for each surname in her father’s territory, to Islay as her dowry. Another is that she invited Irish gentlemen and artisans of talent to the island, because Islay needed their services. Among the names she is said to have introduced is MacBeatha. Again according to tradition, the MacBeathas settled in the Kilchoman area of Islay. Time and place fit quite neatly with more solid historical evidence. The first record of a MacBeatha doctor in Scotland is from the early 14th century: Patrick MacBeth is the ‘principal physician’ to Robert I. The presence of Clan MacBeatha in the Kilchoman area of Islay is confirmed by a cross, dating from the second half of the 14th century, commemorating them. The first actual named MacBeatha on Islay is Fergus Beaton, in 1408. For several centuries, members of Clan MacBeatha remained the hereditary physicians for the Lords of the Isles. One crucial question is when the vast amount of medical knowledge came in possession of the clan members. More specific, did they know of distilling alcoholic spirits already before they came to Islay? The recipe in the “Red book of Ossory” suggests that knowledge of distilling did exist in Ireland around the time of their sailing. First a fudge-like sweetness, quickly followed by thin, woody-dry peat. I want to go back in time just a wee bit more, to someone who is seen by many as one of the leading scientists of the 13th century: Michael Scot. He was born in the 1170s, possibly in the Borders, possibly in Fife. He is thought to have been educated in Oxford and Paris, and definitely was in Toledo in March 1217. His presence in Toledo in 1217, incidentally, is the first solid piece of knowledge about him. He went to Bologna in 1220, may have taught at Salerno, and then moved on to Palermo, where he entered the service of Emperor Frederick II as the court astrologer. Scot had a keen interest in medicine, astrology, and alchemy, highly regarded branches of science in his days. Also, he could read Arabic and translated several Arab manuscripts. Over the centuries, many legends arose about Scots magical powers, giving him the name ‘Wizard of the North’. Given his presence at the very places where the art of distilling is thought to have been discovered in Europe, and at the right time, it would have been surprising if he had not known about distilled alcohol. Surviving copies of manuscripts attributed to him indeed refer to distillation and of ‘aqua ardens’, the earliest name for distilled alcohol. These manuscripts do not actually provide rock-solid proof that he knew of distilled alcohol, as they are transcribed copies dating from several centuries after his death. The references to distillation and aqua ardens could have been inserted by later scribes. However, given his interest in alchemy and his knowledge of Arab, it is almost inconceivable that he could have been at Toledo, and possibly Salerno, in the early 13th century and not learn about this ‘distilled water that could burn’. The last years of Michael Scot’s life are as shrouded in obscurity as his youth; he is usually thought to have returned to the Borders and to have died there in the 1230s. Michael Scot may very well have been the first Scotsman in history to have knowledge of distilled alcohol, but did he bring this knowledge back to Scotland? If indeed he came to Scotland shortly before his death, knowledge of distilled alcoholic spirits would have existed in Scotland more than 250 years before its first solid record in 1494, if only in the skull of one man. Did Scot pass on his secrets? Or did the knowledge of distilling alcoholic spirit die in Scotland together with the ‘Wizard of the North’? We may never know for sure ….. Finish gets drier, with the peat notes becoming a bit more pronounced. Still, this is a much more delicate dram than I expected from what is essentially a Brora. As I said, both these theories are highly speculative. But if (big if!) the knowledge of distilling alcohol first arrived on Scottish soil with Clan MacBeatha in the Kilchoman area of Islay, then whisky has truly come home when new make ran off the still earlier this year at the Kilchoman distillery. And if (remember the big if!) the Beatons were the first to distill medicinal spirit in Scotland, their tartan really is whisky’s official tartan. Speculating like this can be fun, don’t you think? Well, there’s more to come, so time to pack our bags and travel south, to Wales!